Welcome to the neighborhood Meet the Moon.... We have been waiting for something unique, cozy and brilliant along the Lake Washington waterfront over on this end! It is our pleasure to highlight this lovely new restaurant from the Heavy Restaurant Group (Purple, Barrio, Lot No 3, The Commons), along with Chef Omar Salazar-Cruz, who comes from Purple, and whom we'd like to call an up-and-coming Chef who needs more attention! Meet the Moon is open for breakfast through dinner. We went there for dinner and had the Moroccan Spiced Cauliflower along with the Tacos de Omar, which are Chef's choice for the day... These were brilliant! If you go there for dinner, you may want to go early because they sell out of the tacos regularly. 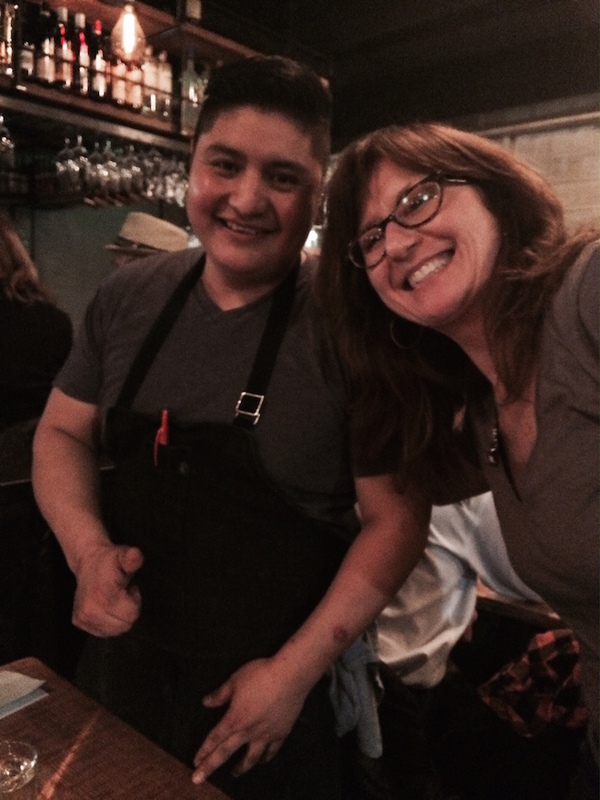 Thank you Chef Omar Salazar-Cruz for saying "Hello!" To find more on Meet the Moon, visit their website here.